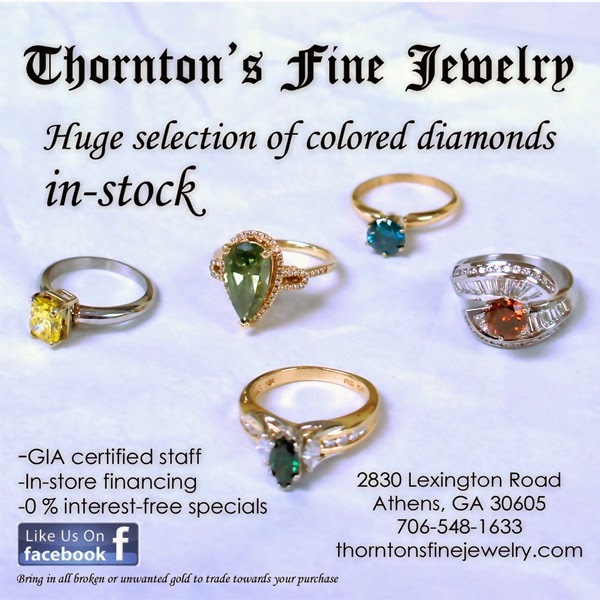 Thornton's Fine Jewelry News and Events: Fancy Colored Diamonds! We have a large selection of colored diamonds ranging from blues, reds, yellows, and greens! These are special diamonds that not just anyone will have. We have them mounted and also loose so that you can pick the ring mount that you prefer. Come by the store and ask to see these beauties! Also, Thornton's Fine Jewelry will be hosting an Open House Sunday, December 14th where everything in-stock will be marked 20% off!! We look forward to seeing you!